Redeemed to stand before the throne! Why does the hymnwriter say that the only basis for his hope is Jesus’ blood and righteousness? Paul wrote that “all have sinned and fall short of the glory of God.” Romans 3:23 ESV How does the hymnwriter express this truth? What biblical truth from a sermon by Jesus is expressed in the refrain at the end of each verse? Almost everyone experiences at least one raging flood. Think about a time when you were engulfed in the storms of life. What did you do about your situation? In what way did Christ help you get through this crisis? To what event does the hymnwriter look forward when life is overwhelming? 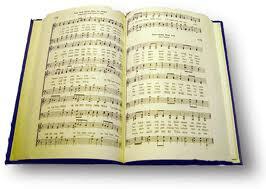 Where can you find the Bible story about which the hymnwriter sings? Previous PostA Verse for MeditationNext PostWhy do US Christians Care about an Imprisoned Pastor in Kazakhstan?